A bespoke new blood centre has been handed over to NHS Blood & Transplant (NHSBT) following completion of construction works at Capitol Park, Barnsley. 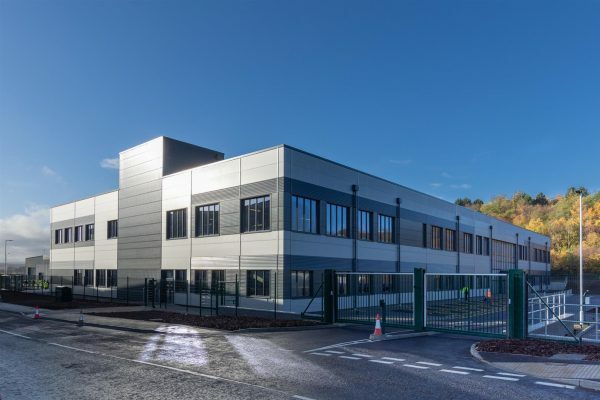 Built by Marshall Construction Ltd and The Harris Partnership, the fully serviced two storey facility houses blood processing and administration functions, with associated vehicle delivery and external parking areas on a self- contained area of the site. Internal central service core areas and passenger lifts are provided as part of the base-build. NHSBT signed a deal with CDP Marshall, the developers of Capitol Park, to build the new 75,000 sq ft facility last year. NHSBT is responsible for blood, organ, tissue and stem cell donations carries out research and provides specialist services to hospitals in the region. The new centre will be home to teams and functions including specialist laboratories, specialist nurses in organ donation and support services.